Online cloud-based accounting software is not a new product. However, over the past few years, the interest in and use of such software has increased dramatically. You only need to google “online accounting software” to be met with pages of results telling you about the benefits of transitioning onto a cloud-based platform, and there is a reason why so many people sing the praises of such systems. We outline below why switching to an online accounting software provider could be the right move for your business, and how you should go about moving into the online arena if you decide to do so. If you use traditional in-house accounting software, or you use spreadsheets as your primary working papers, then one frustration you’ll be very familiar with is the fact that you can only access that information when you’re sitting at your desk at work. Given that flexible working is becoming more and more commonplace, it can be a disadvantage in today’s mobile workforce to have software that can only be accessed in such limited circumstances. That’s why many small businesses have found switching to online accounting software to be more beneficial. This is due to the fact that you can access online cloud-based accounting software wherever you are, provided you have a working internet connection. This is perfect for any staff members that work remotely and would still like to access all their usual accounting systems. You can also log in at any time of day, so if you prefer working early in the morning or late at night, online software can enable you to work in a way that best fits your schedule. One of the other main advantages of online accounting software is that you can have more than one person access the software at a time. AccountsPortal, for example, lets you have an unlimited number of users, who can each have their own level of access permissions for greater security. What’s more, when you open up a page on online accounting software, you know that the financials, invoices, or inventory information displayed are the latest and most up-to-date data you have. This means that everyone is always working on the latest version of a document. Compare this to traditional offline accounting systems. Taking spreadsheets again as an example, it can be all too easy to input an incorrect formula, or to work off an old version of a spreadsheet without realising. Online systems take these issues away, as no formulas are required. As a result, the chance of human error is greatly reduced. This means that online accounting software is often more reliable, accurate, and easier to use than offline systems. Provided that the information you input into your accounting system is regular and up-to-date, your business should also be able to take advantage of one of the greatest benefits of online accounting software – real-time information and reporting. Often, financial statements are prepared retrospectively, after the end of a financial quarter or year. However, if you regularly add information to your online software, you should be able to see a snapshot of your business’ financial performance at any point in time. This can be a great tool to get current information on how your business is doing, and whether any adjustments, for example to margins or operational costs, should be made in advance of any internal deadlines. It can also be a real help at tax time, when you’d like to have an accurate estimate ready of how much tax you’ll have to report and pay to HMRC. One of the main worries that a small business owner or freelancer may have about whether to transition to online accounting software is whether the data used on such software can be kept secure. Thankfully, you’ll find that most online accounting software providers have a number of measures in place to help protect your business’ information from fraud or theft. AccountsPortal requires each user to create their own login and password and the subscription holder has the power to restrict how much access each user has. Additionally, the data stored on AccountsPortal is encrypted, which adds an additional layer of protection. When you consider that regular off-site backups are also performed to make sure that your data stays safe, you know you’re in good hands when it comes to security. Having backed up copies of your data is also incredibly helpful when it comes to disaster recovery planning, as you’ll know that, should the worst happen, such as a fire or flood in your office, your data is securely held and stored off-site. Many businesses are trying to go paper free to try and reduce their carbon footprint and overall impact on the environment. As a result, it makes sense for any environmentally-friendly business to transition to online accounting software. All your business’ transactions, invoices, and accounts can be processed and viewed online, meaning that you no longer need to print off reams of invoices when performing reconciliations. AccountsPortal also lets you access customer and supplier information, meaning that the software easily serves as a one-stop-shop for all the accounts information you may need. Many businesses may be put off from using cloud-based accounting software due to its perceived high costs. However, using online software can actually be cheaper than having in-house software. There are a number of reasons for this. Firstly, having online accounting software means you can do away with the IT and maintenance hardware that you keep on site. Secondly, the wide availability of online accounting software providers means that monthly subscription costs for such programmes are usually very competitive. AccountsPortal offers one simple pricing plan, where for just £10 a month users can get unlimited access to all the features on AccountsPortal. Not only is £10 a month very manageable from a cash flow perspective, but further savings are also possible through a referral programme. Suffice to say, having such low monthly expenses is great for all business’ budgets. Online accounting allows you to integrate with other services automatically or manually, thereby freeing up valuable resources. For example, you can automatically import your bank account transactions, or you can accept online payments for your invoices. This also means that your information will be more up-to-date and accurate. The benefits of online accounting software are well-known to both freelancers and small businesses. Although you should never make a business decision just to keep up with the Joneses, you may find that you’re putting yourself at a disadvantage to your competitors by not making the switch. With the cost savings you can make by having an online accounting system, along with the added security and reliability, many businesses find it makes more sense, both operationally and financially, to transition over to online software. If you do decide that cloud-based accounting software is the way forward for your business, you may be wondering what your next steps are. Thankfully, transitioning your accounting system online does not have to take up too much of your time or your resources. It’s best to have a date in mind as to when you’d like to move your accounts and associated data online. Many businesses find it easier to transition on the first day of a new accounting period or after the end of your business’ tax filing deadline, as your data up to that point should be reconciled, any outstanding taxes should have been filed, and only minimal adjustments (if any) to your data should be needed. Having all of your records in order should help you to transition to your new software in a stress-free way, whilst having a deadline for the transition will provide staff with a definitive timeframe to work towards. Although some online accounting software won’t allow you to import much, if any, of your previous data if you used a different accounting system, AccountsPotal has an import tool to help businesses migrate their existing data, saving you time in what could otherwise be a stressful transition. There will always be an initial learning curve when using a new programme and it’s no different when transitioning over to online accounting software. Where possible, it’s best to try and transition over slowly, so that the key staff members who will be using the software have time to get acquainted with how it works and differs to previous software. The transition can be made easier if you run your old accounting software in parallel to your new software. AccountsPortal offers a 30 day free trial of their system, which gives businesses the perfect opportunity to try out AccountsPortal and become accustomed to its features before saying goodbye to their old in-house software or previous online accounting software provider. 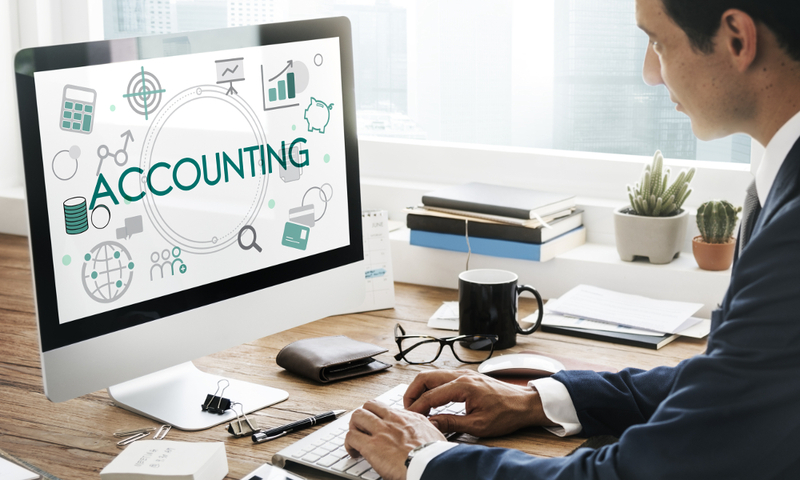 Although it may take some time for staff to become fully acquainted with new accounting software, often the long-term cost and operational benefits far outweigh the initial training time. There are also help and support teams available if your staff members have any questions about how a particular function works, and it’s a great feature to make use of, particularly when you’re first starting out with new software. If you’d like to find out more about AccountsPortal and the benefits it can offer your business, you can read more about AccountsPortal’s features here. Equally, try signing up for the 30 day free trial, and see how online accounting software can work for you.